the main objectives of AGEY are to provide an alternative source of livelihoods to members of Self Help Groups (SHGs) under DAY-NRLM by facilitating them to operate public transport services in backward rural areas. 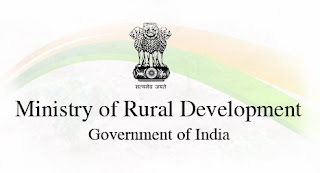 This will provide safe, affordable and community monitored rural transport services like e-rickshaws, 3 and 4 wheeler motorised transport vehicles to connect remote villages with key services and amenities including access to markets, education and health for the overall economic development of the area. So far, the total amount released to SHGs is Rs. 1815 crore to about 3.96 lakh SHGs. A sum of Rs. 1088 crore has also been disbursed to 7.28 lakh SHGs as revolving Fund. DAY-NRLM also focuses on bank linkage of the institutions to enable their income The Cumulative Bank Credit mobilized for women SHGs and their federations since inception is to the tune of Rs 1.19 lakh crores. 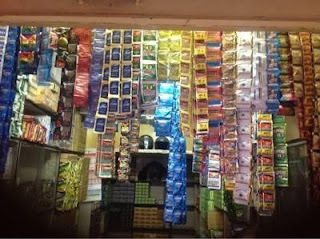 The Maharashtra government, while renewing its annual ban on gutka and pan masala, has removed `scented supari' from the list at least until a special committee gives its verdict. In other words, scented supari - which health activists claim is just another name for pan masala can be sold in Maharashtra. The state banned gutka, pan masala, chewable tobacco, zarda, among other harmful products, on health grounds in 2012. These products contain carcinogens such as tobacco and heavy metals and many studies across India have linked their use to increased incidence of oral cancer. Oral cancer accounts for over a third of all cancers in India. A report by the US state department says that India is the 3rd largest terror target in 2016. Interestingly, India has replaced its estranged neighbour, Pakistan on the list and is just behind Iraq and Afghanistan. 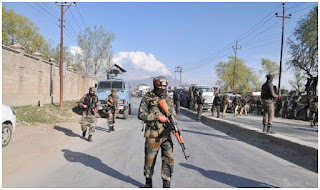 The data revealed India’s position as the third largest terror target. According to it, out of the 11,072 terror attacks across the world in 2016, 927 took place in India. Reportedly this is 16 per cent more than what it was in 2015, that is 798. In 2016, 337 deaths were caused by acts of terror and it is 17 per cent more than 2015’s 289 deaths. Radio broadcast completes 90 years in country today and first ever radio broadcast in the country went on the air from the Bombay Station on July 23, 1927 under a private company, the Indian Broadcasting Company. 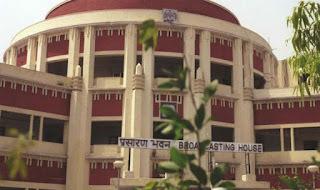 On 8th of June, 1936, the Indian State Broadcasting Service became All India Radio. All India Radio (AIR) has been serving to inform, educate and entertain the masses since it’s inception, truly living up to its motto – Bahujan Hitaya Bahujan Sukhaya. All India Radio, now under Prasar Bharati, has the distinction of being one of the major broadcasting organizations in the world. The News Services Division of All India Radio disseminates news and comments to listeners in India and abroad. AIR’s home service comprises 420 stations today located across the country, reaching nearly 92 per cent of the ountry’s area and 99.19 per cent of the total population. AIR originates programming in 23 languages and 146 dialects. 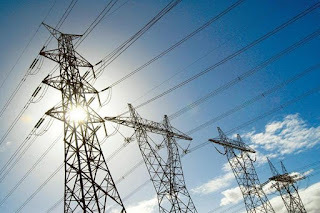 Uttar Pradesh Power Minister Srikant Sharma launched free power connection scheme for the BPL card holders in the state. The scheme would also benefit the poor people who do not have BPL cards at present. The Centre had launched the free gas connection scheme for the poor, the Yogi Adityanath government in Uttar Pradesh is giving free power connection to the same class of people. On top of being India’s first metro network to offer free drinking water and toilet facilities, Lucknow Metro will also become the firstin the country to have its own FM radio station. It will operate alongside a collaboration with a private radio station to provide information regarding metro safety as well as on and off board entertainment. It will also provide free -WiFi at all stations to commuters with a ‘Go Smart’ card. 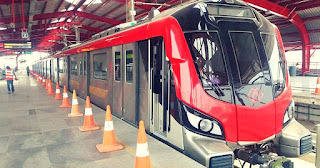 Lucknow Metro is expected to cover 140km in the city in a total of four phases over the next 25 years, operating two routes, from North to South and East to West. Once completed, the Metro will shoulder the huge responsibility of ferrying a large portion of Lucknow’s over 3 million population, and will become an integral service in a city that continues to grow and attract large number of people. It is also reported that it will be the fastest built metro system in the world and the most economical high speed rapid transit system project in India. 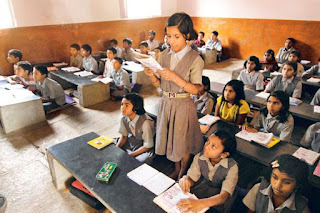 The Lok Sabha gave its approval to a bill amending the law on free and compulsory education to extend the deadline for teachers to acquire the prescribed minimum qualifications for appointment. 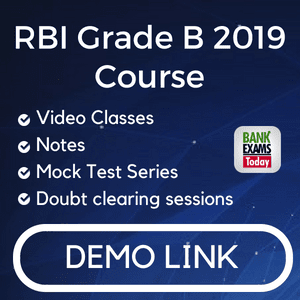 According to the Right of Children to Free and Compulsory Education Act, 2009, which came into force on April 1, 2010, a teacher, who did not possess minimum qualifications, was required to acquire them in five years. The Act was enacted to provide free and compulsory education to all children between the age of six and 14 years. The central government subsequently received requests from states for extension of the period to enable them complete the training process for in-service untrained teachers. Teachers should register on the Swayam portal and they will also be provided hands-on experience by the respective state governments, he said. Swayam is a government-initiated programme designed to achieve access, equity and quality in education. 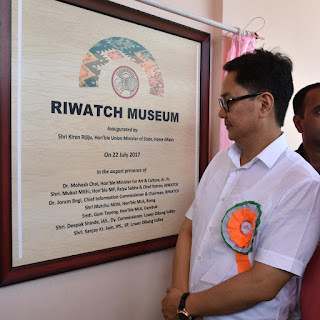 Minister of State for Home Affairs, Kiren Rijiju inaugurated the Research Institution of World Ancient, Traditional, Culture & Heritage (RIWATCH) Museum at Roing and hoped that it would serve as a place of exchange of cultural values of various tribes of the state and the North East. The MoS also pressed for documentation and research to preserve age-old culture and traditions of the state, and exhorted people to shoulder the responsibility to pass on traditional and cultural values to the next generation. India will host Global Conference on CyberSpace (GCCS) 2017, the world's largest conference on cyber space here on November 23 - 24 and the conference will be inaugurated by Prime Minister Narendra Modi. The GCCS is taking place outside Organisation for Economic Co-operation and Development (OECD) nations for the first time. The theme for the GCCS 2017 is 'Cyber4All: An Inclusive, Sustainable, Developmental, Safe and Secure Cyberspace'. 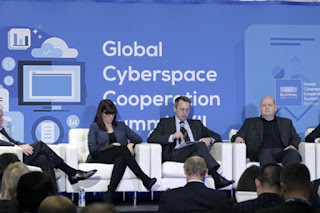 The GCCS is a prestigious international conference that aims at encouraging dialogue among stakeholders of cyberspace, which has been taking place since 2011. The cyber security will be one of the major focus areas in GCCS 2017 especially as the central government is in the process of setting up separate sector specific emergency response centres to ensure cyber security and strengthen technology infrastructure. 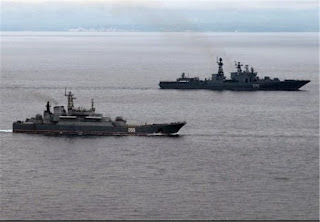 According to the active stage of the drills, the Russian and Chinese seamen, as well as marine aviation crews, will train to organize anti-submarine, anti-aircraft and anti-ship defense, as well as free a vessel from "pirates" and conduct a search and rescue operation to provide help to the vessel in distress in the Baltic Sea. Besides, the seamen will train to fire at surface and air targets. India has been ranked 132nd among 152 nations in a new index tracking commitment to reducing income inequality. Sweden led the index while Nigeria remained the worst performer. 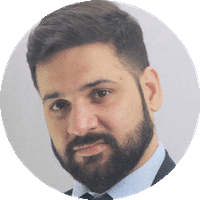 The index prepared by Development Finance International, Inc. and Oxfam ranks nations on the basis of their welfare spending, the progressive nature of their tax system and prevailing wage inequality in the labour market. England clinched the ICC Women’s World Cup in spectacular style by defeating India by nine runs in the final at Lord’s on Sunday. This was the fourth time England had won the World Cup while for India, this was their second loss in the final. 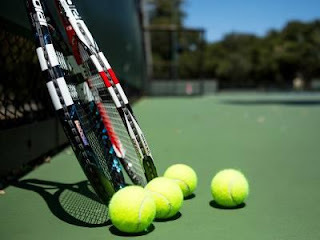 Tamil Nadu Tennis Association (TNTA) confirmed that IMG (R) have cancelled the contract which was extended till 2019 early this year. TNTA CEO Hiten Joshi explained that the sponsorship for the tournament indeed became an issue leading up to the cancellation of the ATP 250 event in Chennai. World No. 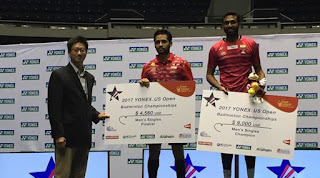 23 HS Prannoy beat fellow Indian Parupalli Kashyap in the final clash at the United States Open Grand Prix Gold in Anaheim to win his third Grand Prix Gold title. Prannoy defeated Kashyap 21-15, 22-20, 21-12 to claim the title in a match that lasted 65 minutes. Professor Rao, who served as ISRO Chairman for 10 years during 1984-1994, was inducted into International Aeronautical Federation (IAF) Hall of Fame last year during the closing ceremony of IAF Congress 2016 in Guadalajara, Mexico. Under the 2017 Padma Vibhushan award winning scientist, India carried out at least 20 satellites project including the country’s first, Aryabhatta. 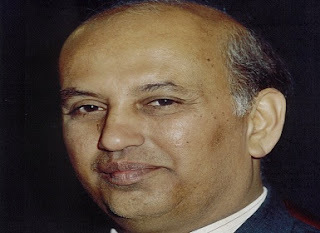 Rao was serving as the Chairman of the Governing Council of the Physical Laboratory at Ahmedabad and was the Chancellor of the Indian Institute of Science and Technology at Thiruvananthapuram, according to ISRO. He had also worked as a faculty member at MIT and held the position of Assistant Professor at University of Texas at Dallas. He was inducted into the prestigious “Satellite Hall of Fame” at Washington DC in 2013.